Photograph of the Hockanum schoolhouse after a flood in 1895. Anna McQueston (later Mrs. Clifton Johnson) is in the doorway. 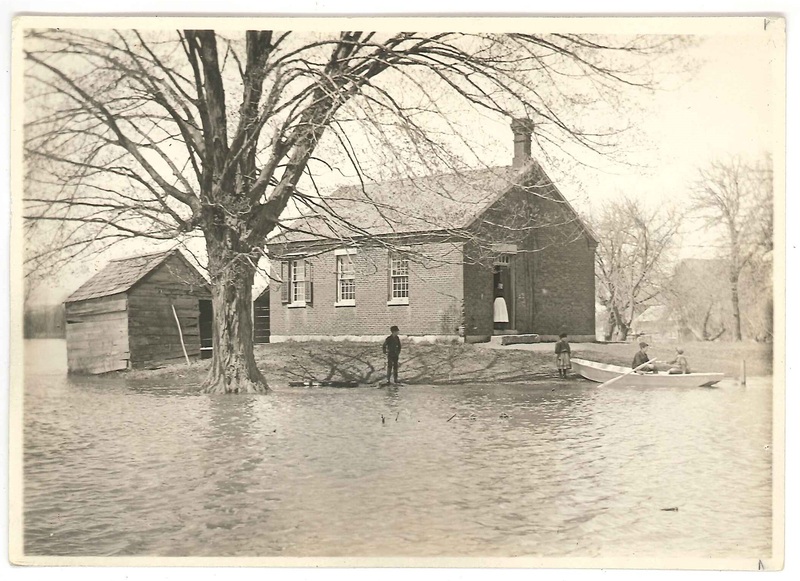 Johnson, Clifton, 1865-1940, “The Hockanum schoolhouse after flood, 1895,” Digital Amherst, accessed April 26, 2019, http://digitalamherst.org/items/show/1780.